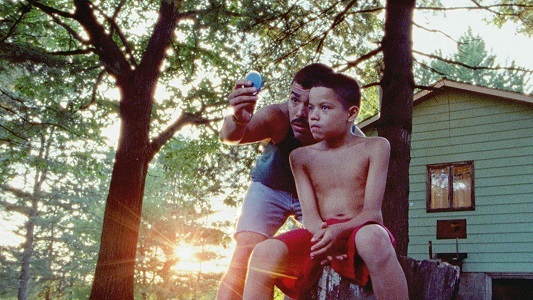 Director: Jeremiah Zagar. Cast: Evan Rosado, Isaiah Kristian, Josiah Gabriel, Raúl Castillo, Sheila Vand, Giovanni Pacciarelli, Tom Malley, Mickey Anthony, Moe Isaac, Michael Pemberton, Amelia Campbell. Screenplay: Jeremiah Zagar and Daniel Kitrosser (based on the novel by Justin Torres). Twitter Capsule: Unique, assured sensibility. Hews closely to a strong noveltoo closely? I admire it a lot, but I wasn't swept away. VOR: ④ The first hour adheres to the novel's template without, for me, conjuring the same magic, but this is still a rare, compelling gesture for U.S. cinema.